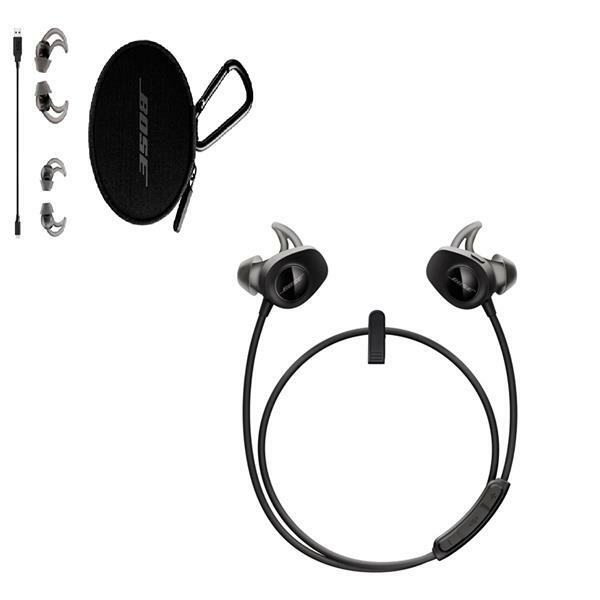 If you are a music lover or a musician and simply looking for the best audio experiences while you are on the move, the age old brand BOSE has it all. Clubbing the best audio quality and the latest wireless technology, you get a range of products of wireless headphones that are hardly resistible. Check out from the list below which lures you the most. Those who have an ear for good music, whether with a professional acumen or just being a seeker of good quality audio experience, the sound systems from Bose have always been on the first row of priority for most of them. Among all the other music acoustics, headphones today especially the wireless ones are in much higher demand as it brings the music only to the listener's ears in privacy and doesn't allow noise to interfere either in the music or disturb the neighbors thrusting upon them what you want to hear. But today the functionality of a good headphone doesn't end with streaming out the best music, it also has to deliver good clarity in the telephonic conversations as in most cases music is heard from our smartphone or other smart calling devices. 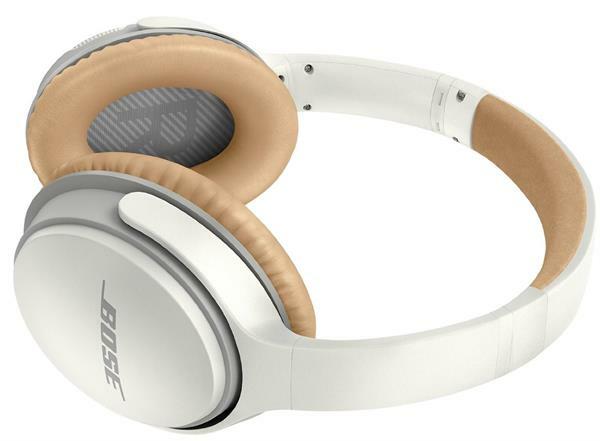 In recent days I was looking for a good wireless headphone from the house of Bose and got to try some of them. Among them I got some good feedback from my known circle while got to hear about some other models as well. To pick up the best from the lot I had to gather some user opinions, rating their experiences on the wireless headphones presented by Bose. And assimilating them all, here I could list down five models of wireless headphones sorted on their basis of popularity and best user experiences. When I tried this model in one of the leading music store, it gave a sound of impressive depth, that made me oblivious of the surrounding till I removed the ear cups. The headphone has now got an advanced EQ and a microphone system. The HD voice feature gives every call a clarity, weeding out any windy sound or distracting background noises. On the other hand the side tone has been enhanced to make the calls sound more natural. The headphone is tuned to the latest Bluetooth technology for better connectivity and is consisting the feature of seamless audio and video syncs. There is also an option where you can switch between two different Bluetooth devices because of which one can keep watching a video while the smartphone would stay connected. The headphone runs on a rechargeable lithium-ion battery that gives you an undisrupted performance up to 15 hours with 2 hours of play time and all this takes only a charging of 15-minutes. The controls are feather-touch sensitive aligning simple commands for options of music and calls. What more? There is an automated voice that prompts about remaining battery life, device connectivity and also the caller ID. It was simply a device which gives out more than expected. With its overall looks, features and quality in place, it can definitely boast of a classic performance. Features at a glanceThis particular model was one of the most common one with high user ratings. The headphone comes in two colours, black and white. The most highlighted feature of this product is its noise cancellation that can magically make the quiet sound quieter and increase the music sound higher. It has a Volume-optimized EQ that works pivotal in balancing the audio performance while played at any volume. The Wireless convenience is paired with Bluetooth and NFC along with voice prompts. The headphone has a dual-microphone system that performs the tasks of Noise-rejection and for calls clarity even when you are surrounded in windy environments. It gives 20 hours long battery life for every charge, and if you are using it in in wired mode it works up to 40 hours. The headphone is packed with accessories like an USB Charging Cable, a Backup Audio Cable, an Airline Adapter and a Carriage Case. So all these when packed together with a fascinating get-up and performance, it has to stand ahead of other wireless headphones queuing up. 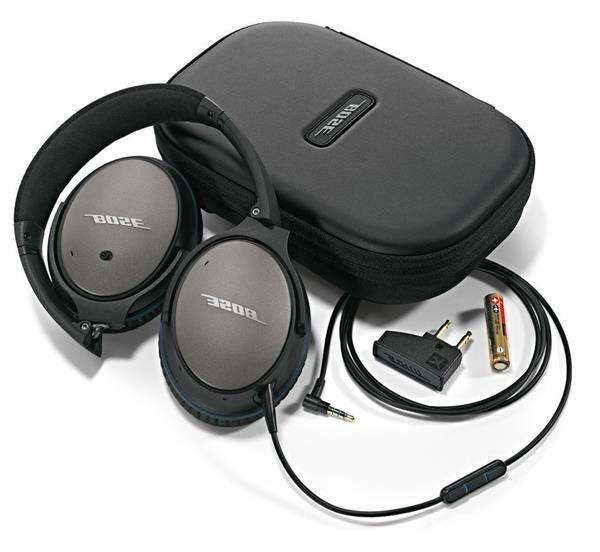 This model from Bose has grabbed the music lovers with its powerful and a crispy sound quality. The headphone is built up with an advanced microphone system that works for delivering calls clarity even in windy or in noisy environments. The Dual microphone system makes sure of reducing the background noise to let you hear the voice of the speaker clearly and ensuring that your voice reaches to the other side with the same clarity and quality. It has a state of the art interface which even a child can use along with voice prompts that reminds you about your battery life status, your connectivity and caller ID. The controls of the headphones are at your finger tip through which you can Play the music, pause it, skip for the next, receive and make calls. There is a button on the right ear cup which connects you instantly with your smartphone.. The best part of it is that the headphone works even at a distance of 30 feet when connected to a smartphone and a tablet simultaneously. The rechargeable lithium-ion battery gives up to 15 hours of playtime. In the box you get apart from the SoundLink on-ear headphones, a 47.2 inch audio cable and a 12 inches USB cable. Good news for Samsung and Android users. 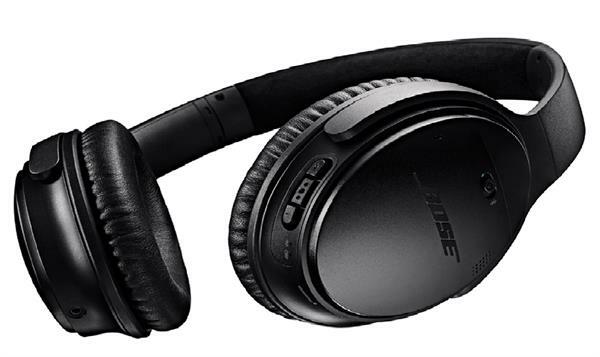 Bose is presenting a headphone exclusively for Samsung and Android users with special noise reduction feature made for work and travel. The sound is engulfing with the desired depth and crispiness which makes your favourite music even more engaging than before. What I liked most about this model is its Lightweight and sleek design coming in dazzling Black or White colours. It has a more than comfortable around-the-ear fitting which never makes you feel "its enough". The Controls of the music and calls are placed on your Samsung and Android devices which you can access through an inline remote. The advanced noise reduction technology shuts off the airplane cabin noise, makes you feel at home even in a busy city traffic or in a noisy office atmosphere. Keeping the situations in mind the headphone makes your idle time romantic with enchanting music, movies or videos. Its an all play and no work device that gives you one of the best audio experiences. 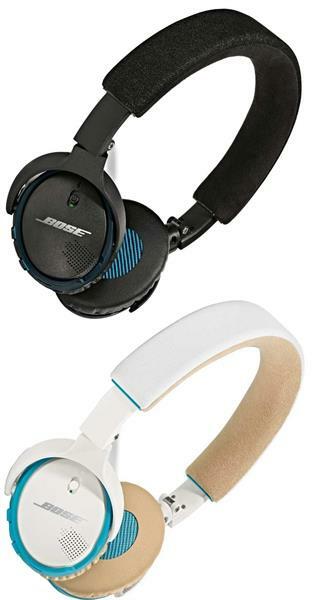 If you want to be light on expenses and carrying a headphone with you and still not ready to go down with quality, there is an option from Bose. This high-quality headphone rather say earphone gives you an audio experience that remains consistent in balancing the audio output at any volume because of its active EQ. The headphone has a range of special features like a stay hear plus tips that keeps the headphones steady and comfortable in your ears even while exhaustive workouts. The earplugs are made up of Soft silicon material with Sweat and weather resistant component which has a unique design crafted with a gentle shape that gets sealed at the cavity of the ear to enhance the music audio shutting out the atmospheric noise. It would not slip off from your ears even if you are moving your head downwards or your entire body is shaken up with the speed of the treadmill. The control makes changing volume, skipping tracks, attending calls and initiating voice commands easy. With its Wireless convenience, Bluetooth and NFC pairing added to the voice prompts gives you total control of the device without reaching out to it through its remote. You get up to 6 hours of battery life whenever you charge the device. After looking at these headphones for several times, I came to a conclusion that its just a matter of convenience that can help you choose one from the rest of the lot. Either it has to be the purpose or the sum of money that can make you finalize your decision. Saying about the performance and audio experiences, all these five products from Bose were unique and irresistible.